Residential or Commercial property, Tri Star brings decades of professional landscape installation experience to you. Minor to Major – Small to Large, you as a consumer who impart is buying into a design or image, should be certain your landscape project is done correct and proper the first time, saving stress, money and your valuable time. Our crew members are thoroughly knowledgeable and trained to our company standard of excellence, with countless successful design installation within Alberta under our name, you as our client can be rest assured that we will complete your project on time and within budget. 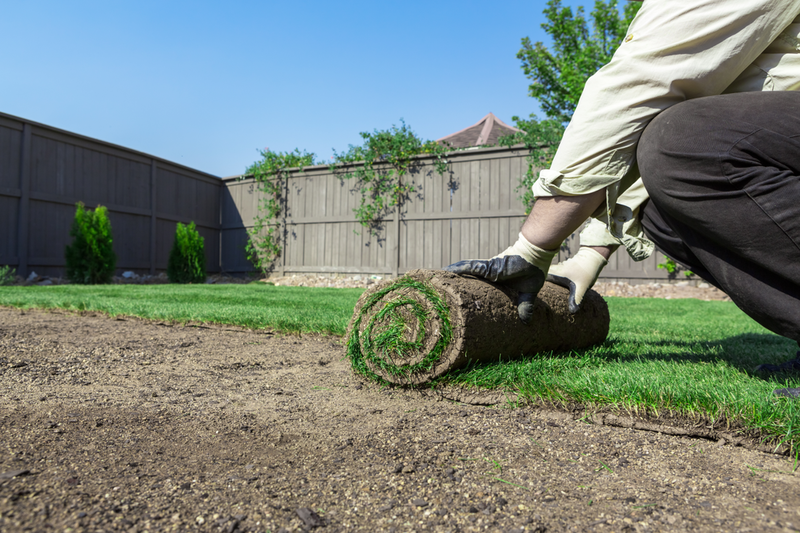 Examples of installation include: Lawn seeding/hydro seed, sod, artificial turf, site excavation / grading. Deciduous / coniferous / ornamental trees, shrubs of any size, annuals and perennial, gardens of any aspect / vegetable / floral / stone. Journeymen Carpentry: Fence, decks, composite decks, posts, pergolas, verandas, step systems. Stone / stamped or gravel driveways, Paving stone patios / walkways, curbing, fire pits / bbq area, retaining walls, and drainage. If you can dream it, we will build it! Contact Us today for a free personalized consultation.